Used widely in the postal world to send a variety of correspondence such as magazines, brochures, catalogs and newspapers, plastic envelopes are an alternate option to shipping these items in rigid cartons or cardboard boxes, and are also known as poly mailers or poly mailer bags. The pouches can be one layer of plastic, or an outer layer of plastic with a protective interior layer such as bubble-wrap. Within the mail application, plastic envelopes are particularly useful as a tamper-proof method of transporting contents such as currency, legal documents or other private information for which the sender requires secure transportation. For short-term protective and postal requirements, a permanent adhesive strip can be placed on one side of the plastic envelope, or plastic mailer. Once the permanent adhesive edge is sealed, the contents inside are protected until the envelope is torn open and ruined, at which point tampering is evident. This feature protects against contents being viewed or adjusted while in transit. Using a plastic envelope with a re-sealable side does not have the tamper-proof benefit, but rather it gives the option of opening and resealing the envelope several times and can be used for less confidential purposes. 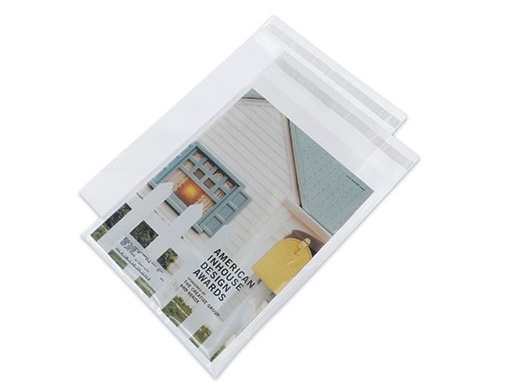 Plastic envelopes are typically made from clear polypropylene or polyethylene for visibility purposes, or white plastic for privacy purposes, and are used because of their durability. 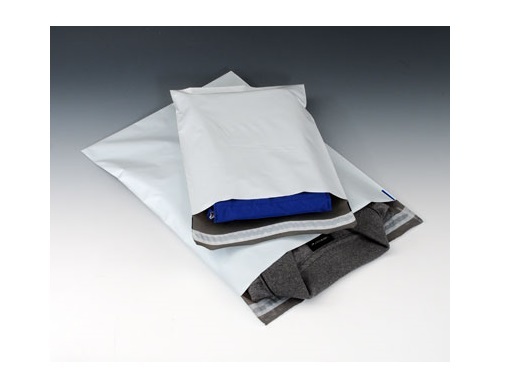 The lightweight characteristics of polyethylene or polypropylene make the plastic envelopes cheaper to mail, especially over long distances, than heavier cardboard or corrugated boxes. Plastic is also more flexible than cardboard and so is able to be used to package a wide variety of objects which can then be transported more efficiently due to saving shipping space. Paper envelopes are another commonly used postage container, but as plastic is more durable than paper, plastic envelopes are used to mail contents that require slightly more protection. Plastic is water resistant, providing further guard against damage from the elements during transportation, and potentially saving money from potential product loss during transport. The plastic pouches are typically made through a process of co-extrusion, and therefore are also known as co-ex plastic mailers. Plastic envelopes can be left plain, or custom printed with a company logo or description, or with a template for handwritten content information. Some companies may also offer labeling services, especially for mailing purposes. Plastic Envelopes Plastic envelopes are flat laying pouches or baggies that are usually produced with an adhesive edge for secure closure purposes.